Hey everyone! Just wanted to let you know that Mosi, Shola, and Lauryce are in stock right now at Amazon.com. If it's anything like last time, they could be gone in a few hours, so if you've been waiting for these, you'll want to snag them now. You can find Mosi HERE. You can find Shola HERE. You can find Lauryce HERE. 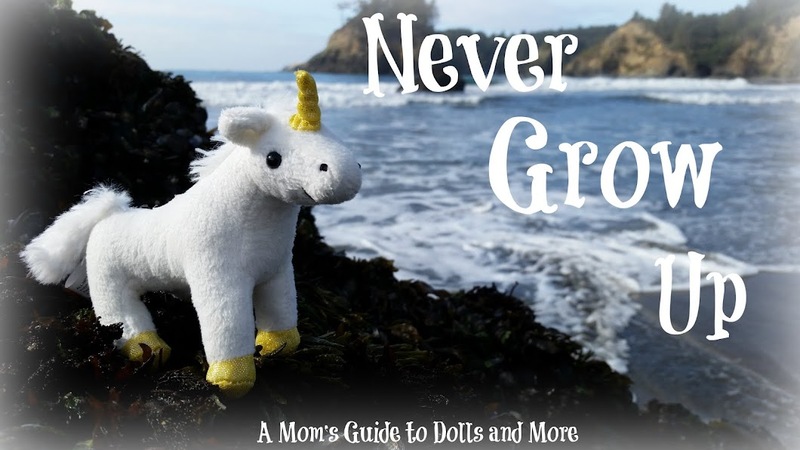 This past month, I was contacted by a representative from the Moose Toys company and asked to review an upcoming line of girls' toys called The Zelfs. This was a big event for me, as it marked the first time a toy company had contacted me (instead of vice versa) and asked me to do a review. :) I'd like to thank Moose Toys for giving me this opportunity. Yesterday, the package arrived in the mail. And this was what was waiting inside: Buttershy, the Butterfly Zelf. But what is a Zelf, you may ask? Zelfs are special little creatures that live in a garden called Zardenia. 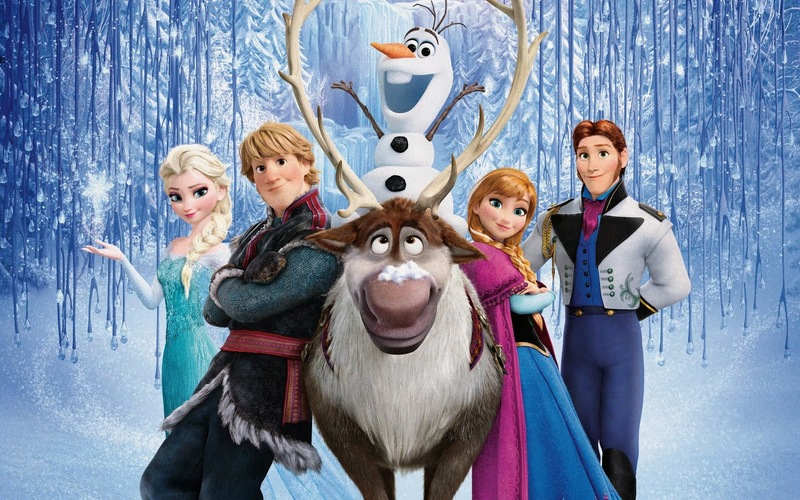 The theme of this line is "Love your Zelf". 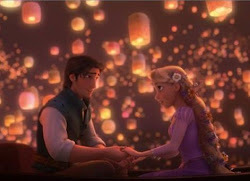 Each Zelf represents a special "power" or personality trait that they will supposedly share with you if you love them. 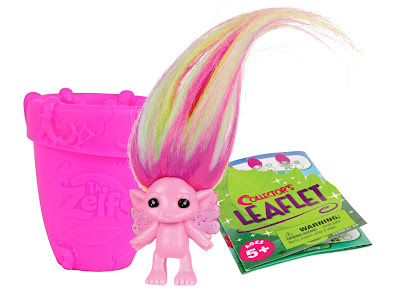 The Zelf website and the contents of the package. The most rare Zelf is the Clover Zelf, Miss Clover. The Zelfs are for ages 3 and up. Here's a look at Buttershy's cover art. Her Zelf Power is Positivity, and her theme is to "believe in yourzelf". Buttershy, almost free from her packaging. She was held in place by a few simple rubber bands and a big, rounded piece of plastic for her hair. I found her super easy to remove. A fun, leaf-shaped comb, a purple butterfly charm, and three elastic hair bandies. Buttershy also came with a leaflet for little collectors. As you can see from the picture, the elastic bandies came in the package with the leaflet. And how cute is this? Since it's a leaflet, they made it into a leaf. When you open the leaflet, you can see the profile of the leaf. Just another cute little detail that adds to the product. The inside of the leaflet shares Buttershy's facts. Another notice about the rare Miss Clover. And here is the checklist that shows all of the Zelfs. The Zelfs come in 3 different sizes: large, medium, and small. Buttershy is one of the medium Zelfs. To the best of my knowledge, this pamphlet shows just the medium Zelfs. A closer look at the others. So, on to the Zelf herself! ;) Buttershy stands at about...well, I couldn't figure out if I should measure her from the top of her head or the top of her hair...so I finally just took a picture of her next to a ruler. :} From the top of her head down, she measures at just under 2 1/2 inches. From the top of her hair down, she is about 5 1/2 inches. As I mentioned before, the Zelfs come in three different sizes. According to my source, the large Zelfs are about 10 inches tall, and the small Zelfs are about 4 1/2 inches tall (both from the hair down). Some of the large and small Zelfs come in different "finishes", for lack of a better word, such as glitter, pearl, and glow. 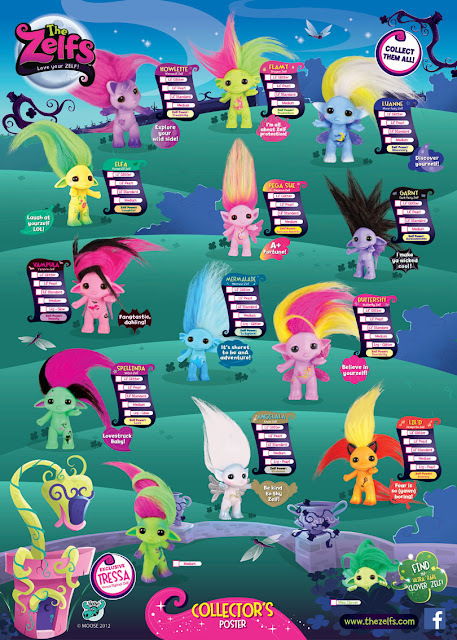 Here is a collector's poster from the Zelf Facebook page that shows all of the Zelfs you can collect in all their different sizes (used with permission). ...but when you look at her from an upward angle you can see she has a sweet little smile. I love the depth of her eyes. They are inset plastic eyes but look like glass eyes. And let's not forget one of her most fun features: her hair! It's very soft and silky...I couldn't stop feeling it and playing with it. When she first came out of the package, her hair shed a bit, but the shedding did not continue. I found it interesting that underneath her hair there was a soft sort of bump...most likely it is what's holding her hair in place. It is not a negative or anything, but this is as far down as her hair will go in the center. A view from the back. You can see Buttershy's sparkly pink wings. ...and more pretty artwork on her tummy. Her identifying marks at the back of her head. Buttershy is articulated at the head, shoulders, and hips. She can sit nicely. ...and sometimes likes to be quite silly. 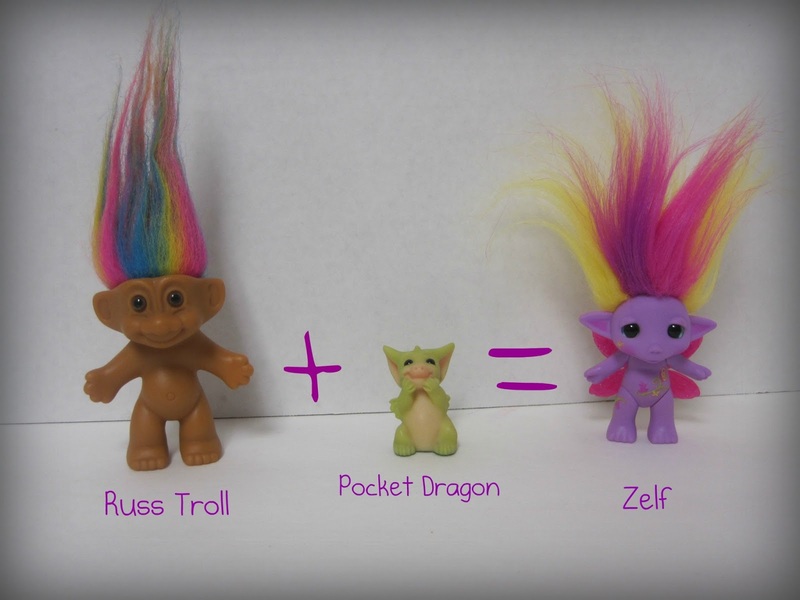 Take a Russ Troll, add a Pocket Dragon, and you've pretty much got a Zelf. 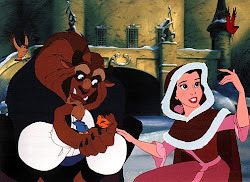 And please do not misunderstand me...I don't see this as a negative thing. The connection with Trolls is obvious...that fun, wild hair! ;) As I already mentioned, my grandmother had a lot of these around, so seeing them always makes me smile and think of her. And speaking of My Little Pony, I thought it would be fun to take a picture of Buttershy and Fluttershy together, since their names are so similar. Don't they look like they'd get along? And to give you another idea of size, here is Buttershy next to a mini Lalaloopsy and Emilie, a Chelsea doll from the Barbie line. Zelfs also make great toys for the 18" dolls. My overall thoughts? I'm giving Buttershy a 5 out of 5 for playability and just plain cuteness! ;) She's absolutely adorable and a perfect little size for traveling in pockets or taking on trips. Her colors are bright and fun and her posability is an added bonus. She also has the vote of the target audience, at least in this house. 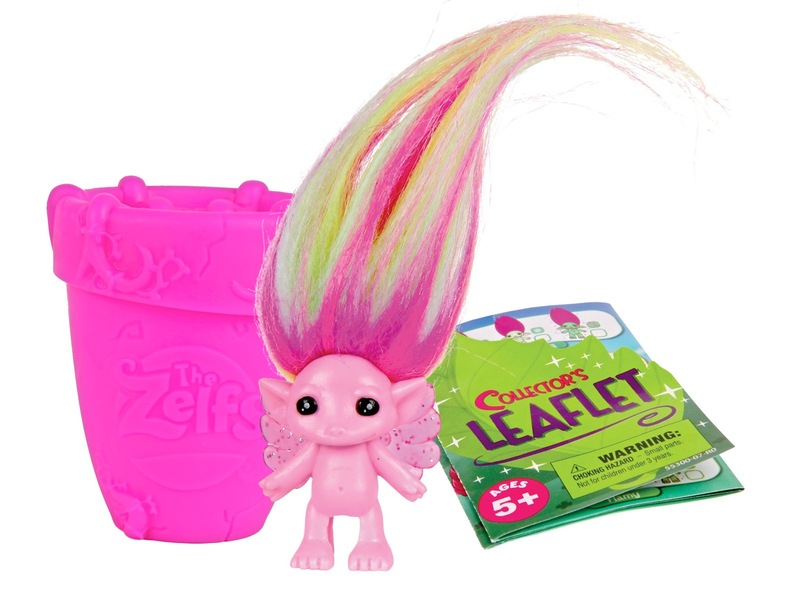 All three of my daughters melted when they saw her and have officially added Zelfs to their wishlists. ;) I personally love her design as it reminds me of toys and collectibles I enjoyed as a child and a teen. I do have to mention that I'm not a huge fan of the "believing in yourself" theme that is so prevalent in many of today's toys. As a follower of Christ, I believe in what Christ can do through me, not what I can accomplish on my own. Of course, I do not expect everyone in the world to hold the same view. I would also have no problem with buying these for my girls and just bypassing the message. There is some magic involved with the Zelf storyline, as you most likely noticed from the packaging, so some might have a problem with that. Also, some of the Zelf characters, such as the Vampire Zelf and a few of the others, might be ones that some parents might want to avoid. 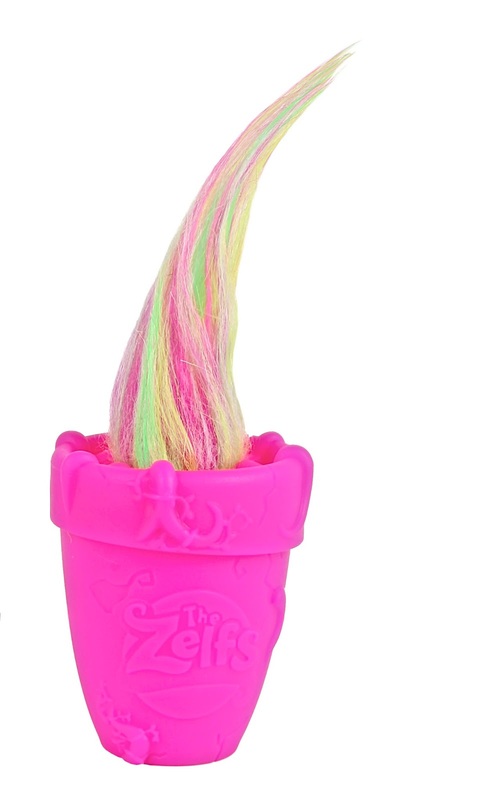 The Zelfs will be hitting stores sometime in August. If you'd like to find out more while you wait, you can check out the official Zelf webpage or the Zelf Facebook Page. I received this as a free sample product from Moose Toys. All opinions and ideas expressed are my own.